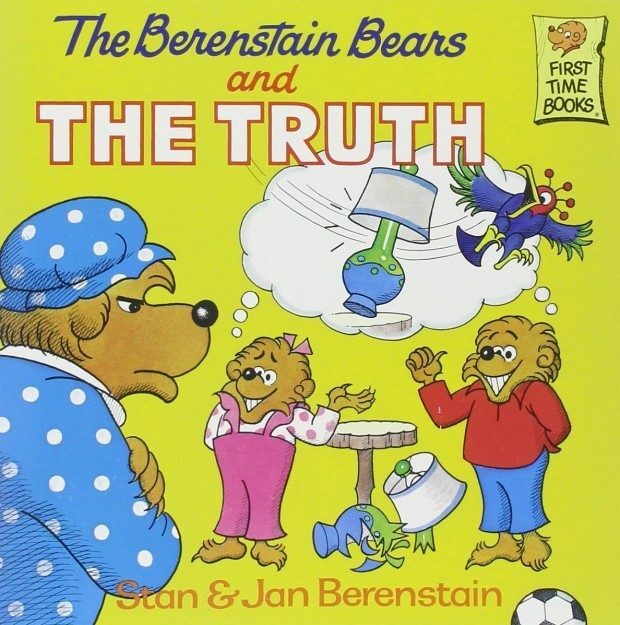 The Berenstain Bears and the Truth Just $2.25! You are here: Home / Great Deals / Amazon Deals / The Berenstain Bears and the Truth Just $2.25! Head over to Amazon and get The Berenstain Bears and the Truth for just $2.25 (reg. $3.99)! Shipping will be FREE with Amazon Prime or a book order of $25 or more. When Brother and Sister Bear accidentally break Mama’s favorite lamp, their little lie grows bigger and bigger, until Papa Bear helps them find the words that set everything right again.